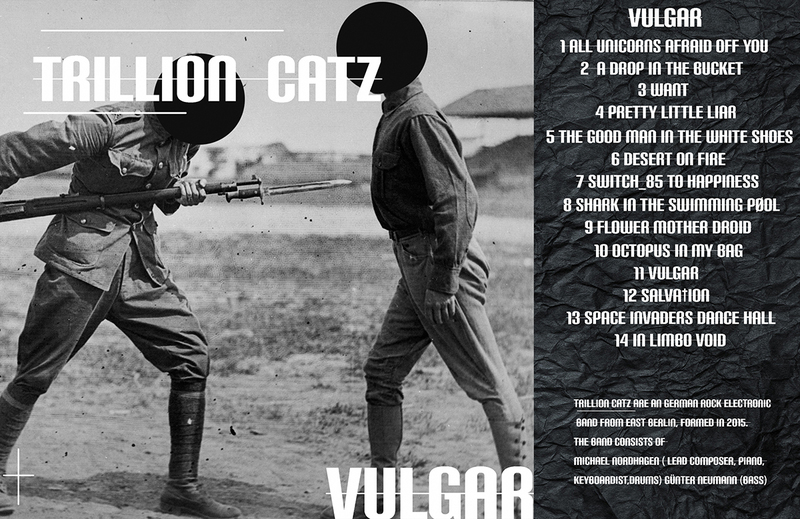 Trillion Catz has 4 releases: "Big Numbers", "Keep it real", "Gonna love ya", and "Vulgar" (the first LP from the band). 14 tracks in the LP have dark and kraut sound with the rhodes classic piano and strange new bass sound. This album was recorded in Munich, Germany. 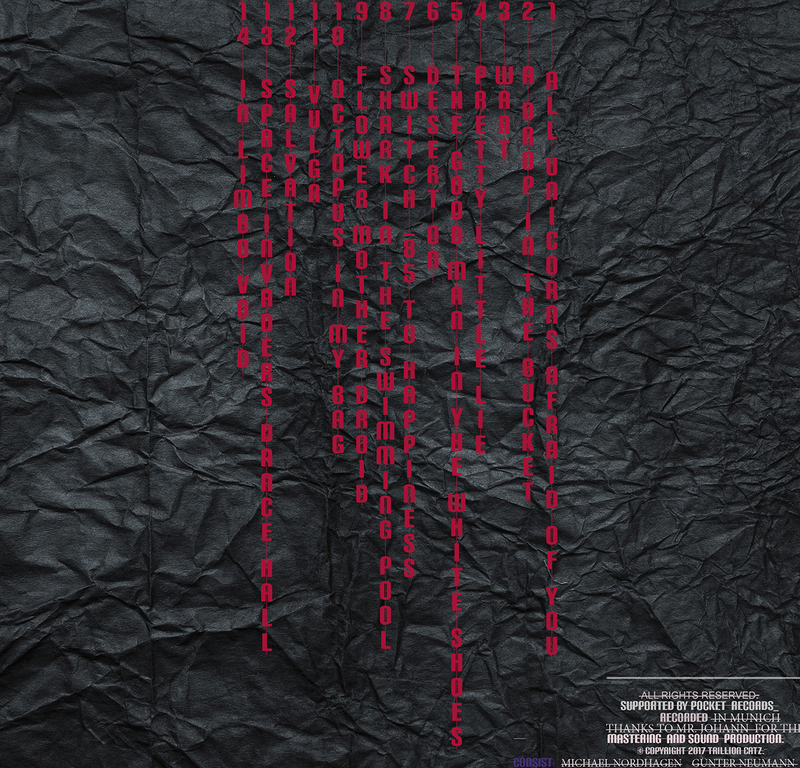 Vulgar is dedicated to the modern society and war stories from the strangers. It has cover art work: wrinkled black paper in the front and strange picture with the training solders in the inside.